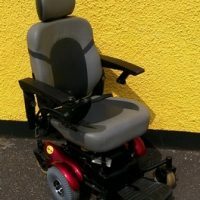 powerchairs & more, all fully reconditioned, serviced & competitively priced! We also offer short & long term rental schemes. 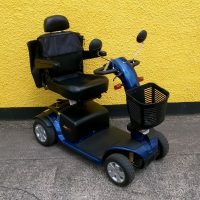 Shop reconditioned mobility equipment to buy or rent from Access Able, Bristol today, or call us for more information. …thank you very much for all you have done for me recently. My late husband always used you for many years & have been very satisfied with your attention. The stairlift is a joy to use, too. Long may our friendship continue. Access Able is a first class company, they supplied a good product and fitted it within 24 hours, the fitting was quick and efficient and they did what I wanted – nothing seemed too much trouble. I highly recommend this company. Excellent service received. Delighted customer! Totally brilliant! Excellent, would recommend to anyone! Fitted 2 new tyres on a scooter. Did a good job, and have had no problems. I have been using them for years & will continue to do so. The gentleman arrived at 12 noon, he was polite, well dressed and clean. He worked without tea breaks and we were using the stair lift at 4pm. Very good worker. I was impressed by your product. I was impressed by your company. I was impressed by the man. I just wanted to let you know that you repaired and serviced my powerchair and I couldn’t be happier with the excellent service! I only rang you yesterday and my chair is all fixed today, so prompt – thank you! A pleasure to do business with you. Many thanks for your great service. Your customer service is admirable and long may the company continue from strength to strength! Quality product, good value, excellent delivery time. Serviced my disability scooter, fitted new batteries and repaired a loud squeak. Excellent job – can’t fault them. Charged less than quoted. They go above and beyond to help the customer. These guys were great, very helpful and very considerate. I’d like to say how very helpful you, and all your members of staff, have been. I am most grateful. I would like to say a big thank you for your customer support, professional personal skills, time and patience with me. 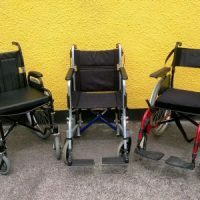 I just wanted to say thank you for the loan/hire of the electric wheelchair. It really made such a big difference to me. You were so friendly and helpful, it was good to come across a company that gave a damn about its customers and gave such amazing customer service. Thank you for the service you offered regarding the hire of a mobility scooter. We wouldn’t have been able to manage without it. We are open 9:00-17:00 Monday to Friday & 9:00-13:00 on Saturdays. Out of hours emergency and mobile rescue & repair service available - call 0800 731 5546. Access Able Limited. Company No. : 05666341. VAT Registration No. : 826 9809 82. Trading & Registered Business Address: 72 St Johns Lane, Bedminster, Bristol. BS3 5AF.